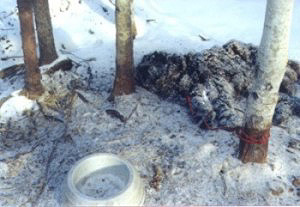 Report all animal abuse to your local police or humane society. 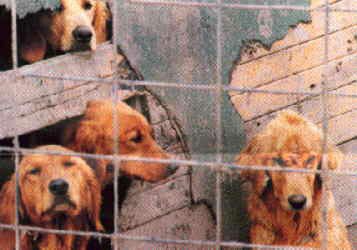 Many newspaper ads selling puppies are PUPPY MILLS! 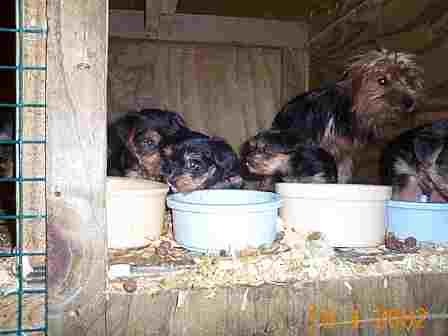 Always insist on seeing the owner's property & the parents of the puppies. 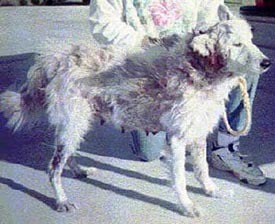 Do not MEET them to get your puppy. 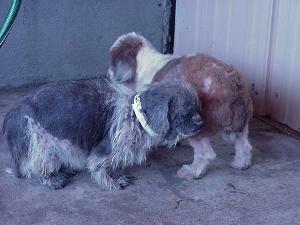 If they are a valid, responsible breeder, they will welcome you into their home and show you everything! 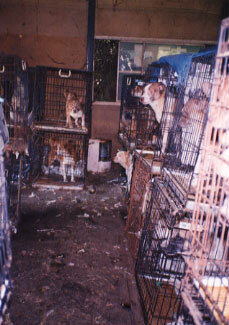 All pictures are from actual puppy mills. 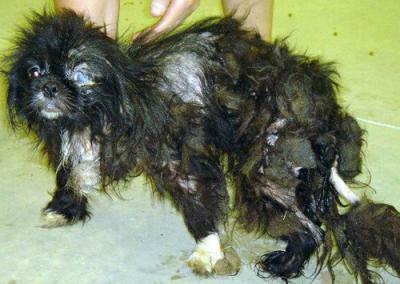 Some puppy mills aren't this bad, but too many are. 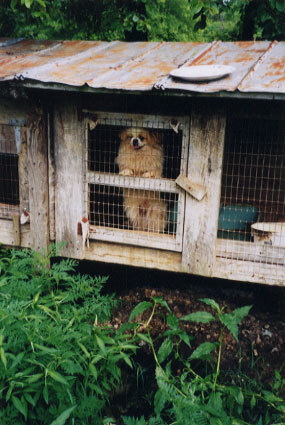 There is no such thing as a 'good' puppy mill. 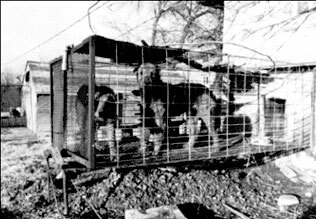 These dogs used for breeding are destined to spend their lives in filthy, small cages, sleeping in their own waste....no grooming, no attention, no exercise, no love. 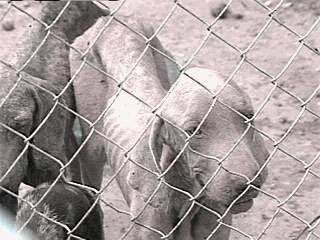 They are allowed to breed at every heat, a minimum of twice a year. 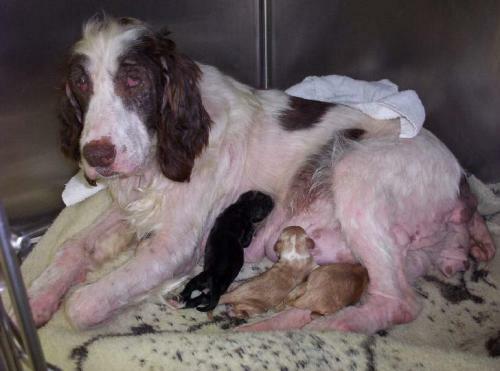 Puppy mills are not run for the 'love' of seeing puppies being born and put in good homes, they are run entirely to make $$$. 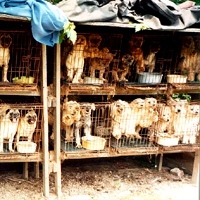 Stop patronizing petshops and puppy mills, and we will have fewer of them. 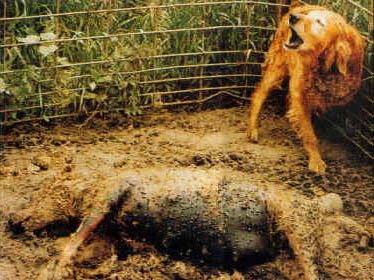 Be part of the solution, not part of the problem. 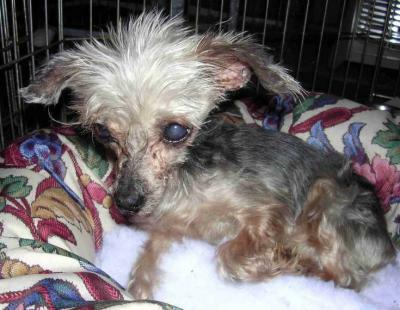 Help stamp out puppy mills and sleep good at night. 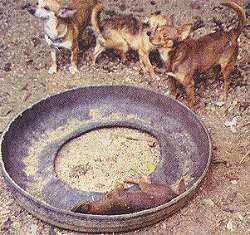 There are laws on the books to keep these dogs in sanitary conditions, well-fed and cared for, but those laws are not enforced! 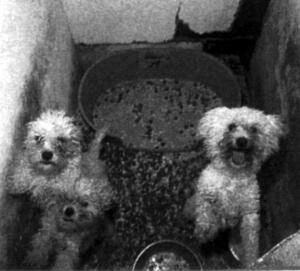 We need stronger enforcement.....inspectors who aren't afraid to get tough on these immoral puppy mill owners. No more second chances!! 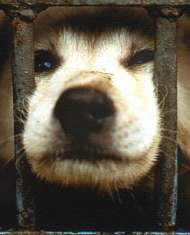 No dog belongs in a puppy mill, a lifetime of hell, day after day after day, with no end in sight. 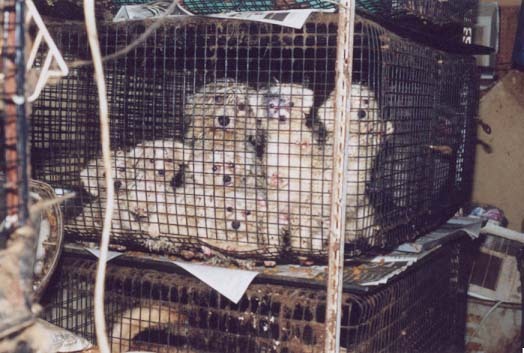 Puppy mills that sell AKC registered dogs are subject to inspection by the American Kennel Club, so in order to avoid this inspection, puppy mills are registering their pups with the CKC, who don't care how they take care of the breeding stock. 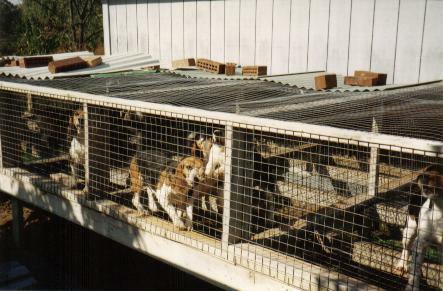 There is no quality control or humane conditions to meet. 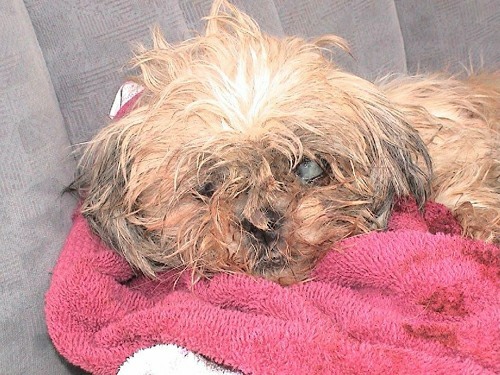 Click here to go to a second page of puppy mill photos - graphic!